Today marks the final trading session of July and a triple-digit positive open for the DJIA. 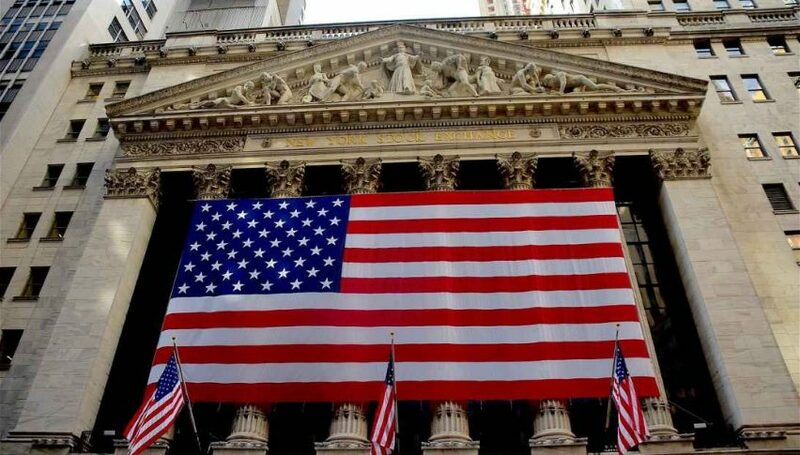 The first hour of business has been kind to U.S. stocks, with both the DJIA and S&P 500 posting nice rallies. It appears that traders are receptive to risk, completely disregarding the lagging Core Personal Consumption Expenditures numbers released during the pre-cash open. The headliner of this group is the 1.9% underperformance of Core Personal Consumption (YoY, June). While this statistic came in the same as the previous release, it still disappointed expectations. The result has been an about-face from traders, with equities and the USD experiencing very little ill-will. The DJIA is back on the bull after a tough Monday session. 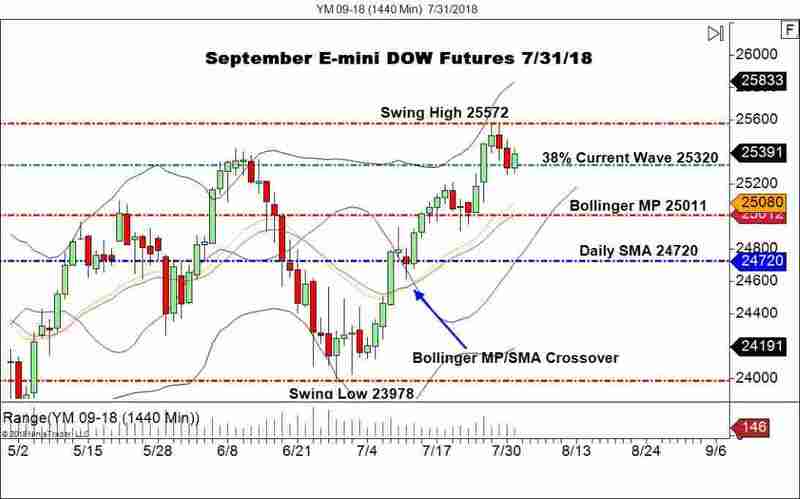 At press time, September E-mini DOW futures are reflecting the positive sentiment with values firmly north of 25,000. Bottom Line: The bulls have dug their heels in at the Current Wave 38% Fibonacci retracement (25320) area. This is a key level moving forward. If it holds as downside support, then the Swing High at 25572 will be challenged in coming sessions. For now, buying a pullback from the 38% retracement is not a bad way to join the action. With a concrete stop beneath Monday’s low at 25263, a long position from 25320 offers solid entry in anticipation of a bullish challenge of the Swing High (25572).